QEC – Queensland Electrical Contractors (QEC) is an electrical contractor business, providing electrical services to both residential and commercial properties across the Gold Coast & Brisbane regions. QEC employ fully licensed master electricians to attend to all of your electrical needs both in terms of residential and domestic electrical maintenance and commercial electrical maintenance. Our director, Lee Fraser has been trading as a certified electrical services provider for in excess of 20 years. On a domestic level, QEC offers various services ranging from full residential electrical wiring to general home electrical repairs. QEC are able to attend to all of your household electrical needs and are experts in electrical fault finding. QEC also provide a variety of commercial electric services utilizing the skills of the best quality commercial electricians in the area in order to provide a professional and efficient service. QEC have extensive experience in commercial electrical construction and redevelopment sites as well as servicing existing business premises located in a variety of areas. We look forward to receiving your call and providing you with the most efficient and highest quality electrical service in and around the Gold Coast and Brisbane regions. Fire Safety is of utmost importance to ensure that you, your family and your property are kept safe. Smoke alarms significantly reduce the risk of property fires which can result in extreme damage, loss of property and even in the worst cases death. QEC are experienced in the installation, testing, and upgrading of smoke alarms. In order to ensure that you are adequately protected, call on QEC to ensure that your smoke alarm is working correctly has been installed correctly and complies with the required standard. New dwellings and those dwellings being substantially renovated. As you can see, the news laws cover a significant amount of property types and it is highly likely that this will affect a significant amount of people, including you. Don’t leave your smoke alarm compliance up to chance; let us use our expert knowledge to assist you in your obligations. What do the new laws stipulate? Every bedroom of a home. Smoke Alarm compliance is an essential part of your business and the services you provide. QEC are able to assist you in fulfilling your obligations in an efficient and cost effective manner. Take a weight off and allow QEC to ensure all of your smoke alarm compliance is up to date and ensure your obligations under the new intricate guidelines are met. Given our compliance fees are a tax deductible service, what’s stopping you calling us straight away? Being a landlord is a very busy and time costly obligation. 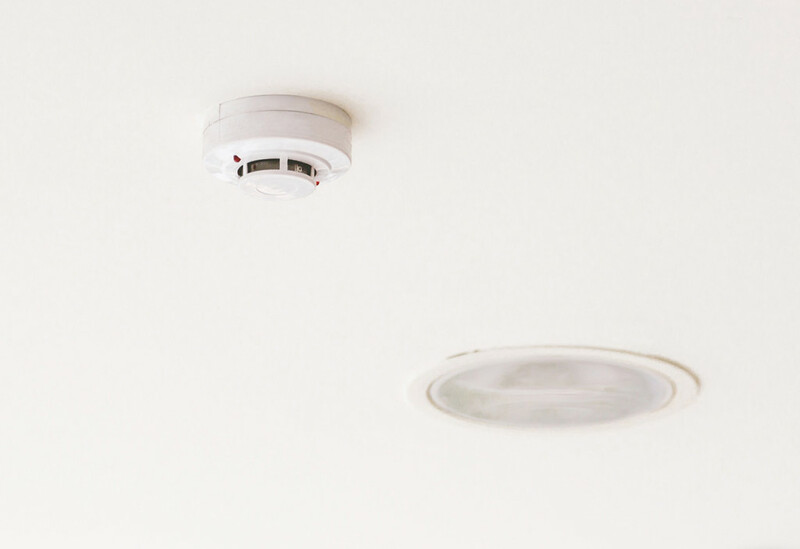 In addition to a list of various duties to your tenants, every landlord is obligated to comply with both State and Federal smoke alarm legislation with respect to the property they rent out to tenants. That’s why QEC offer a cost effective answer and are able to provide a smoke alarm compliance service, which ensures that your obligations under complicated laws are met and you can concentrate on the various other expectations required of a landlord. As landlords are able to claim compliance fees on their tax return, what’s stopping you calling us straight away? Our primary aim is to make you and your family safe. QEC electricians are all highly skilled electricians with a strong customer service background who are there to help you. Whether you have personally arranged for our service or a real estate agent or landlord has done so on your behalf, we will ensure that you are fully aware of our scheduled attendance at your home and the approximate time of arrival in order for us to provide our services to you in the least intrusive manner possible. Source: State of Queensland (Queensland Fire and Emergency Services) 2016 information sheet ‘New Smoke Alarm Legislation’.